April is Child Abuse Prevention Month, an annual campaign dedicated to raising public awareness and prevention of child abuse. This month is about engaging individuals and communities on how we can keep children safe. Nearly 700,000 children are abused in the U.S. annually. 1 in 4 girls and 1 in 6 boys will be sexually abused before they turn 18 years old. 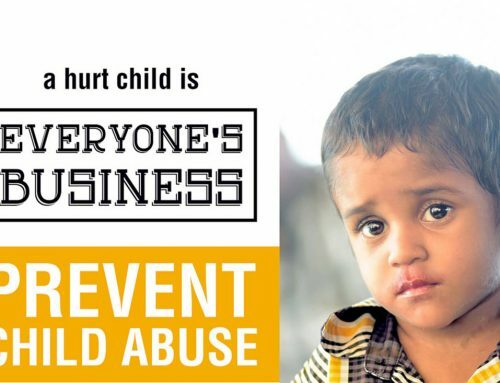 Help prevent child abuse and keep all children healthy and safe. Raise awareness about this serious issue through friends, family, and social media. Wear Blue on April 5th and make a commitment to prevent child abuse. Learn what it means to be a mandated reporter. Donate to your local crisis center or children advocacy center to support survivors of abuse. Megan is a native Texan. She graduated from Texas State University with a Master’s degree in Health Education, and is a Certified Health Education Specialist. Megan resides in San Marcos, TX with her husband and three children. She is passionate about education and working with young people. She strongly believes in social justice and ending violence. Megan works as a prevention educator at HCWC where she engages youth and facilitates discussions in the community promoting gender equality, advocacy, consent, and healthy relationships. She enjoys research, watching movies, playing roller derby, and drinking coffee.